This house, easily the largest in Ditchling Road in recent times, was built about 1860 at what was then the northern extremity of the town. It had an extensive garden overlooking the railway from Brighton to Lewes. The site has been the subject of controversy between Brighton Corporation who want it for a new school to replace Ditchling Road school, and the previous owners who wished to continue using it for industrial purposes. 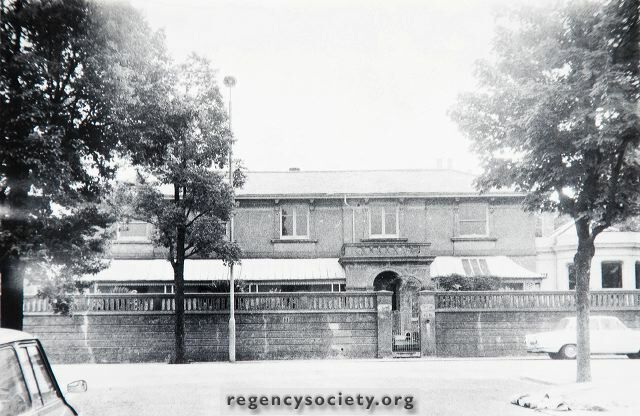 Photographed from within Florence Road on 4 July 1971, the building has since been demolished. The house may well have given its name to nearby Warleigh Road that was certainly built after it.